Yes, the videos are just as awesome as they sound. Since you cannot technically “walk” in space, NASA prefers to call the endeavors extravehicular activities, or EVAs, which produced some sweet footage. 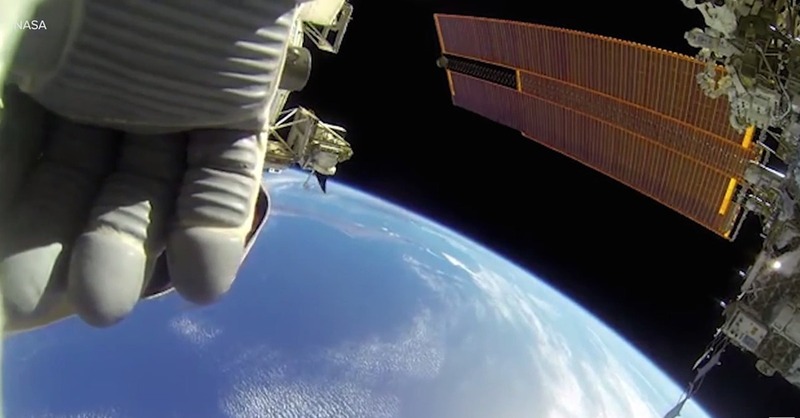 In the first video, astronaut Terry Virts captures a beautiful view of Earth passing by and in the second video, the viewer gets to what it looks like to maneuver around the underbelly of the International Space Station.